DLIS students find they have a key role in providing specialist information services to commerce, industry and academia. 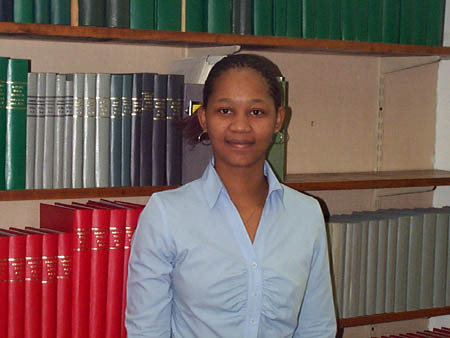 Pretty Kunene at the Oceanographic Research Institute (ORI). 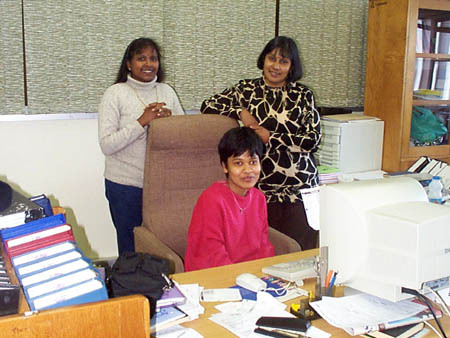 Loetfiah Abbas with colleagues Caroline Naidoo and Sagrie Reddy at the University of Durban-Westville Library. 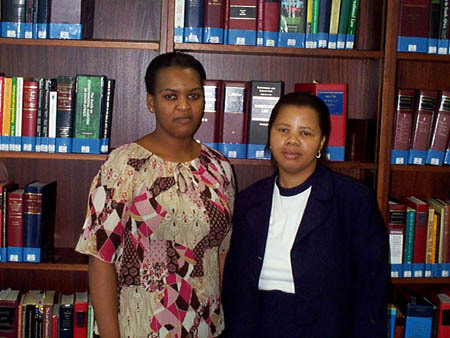 Sandra Khoza with Librarian Besta Mkhize at the ELITS Resource Centre in Malgate House. 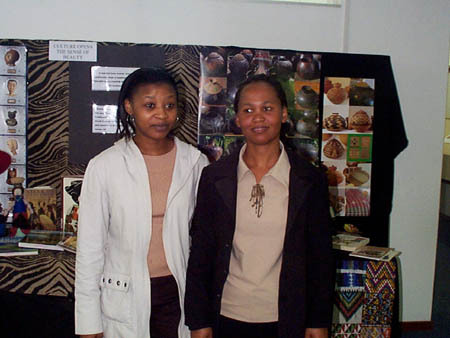 Smangele Mbolekwa with Librarian Patiswa Sidlova at the ELITS Processing Centre. 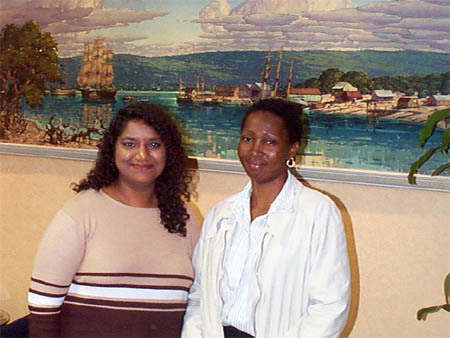 Thembakazi Majola with Librarian Varsha Sathianand at the Durban Chamber of Commerce. 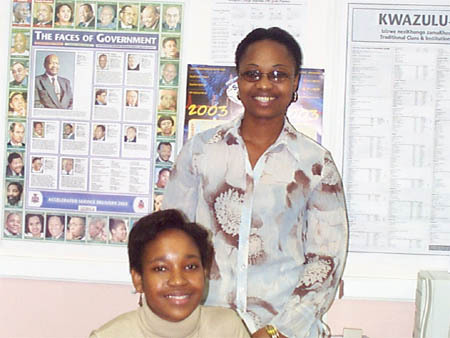 Sthandiwe Nyawose with Librarian Thandeka Mapamulo at the Workers' College Resource Centre. 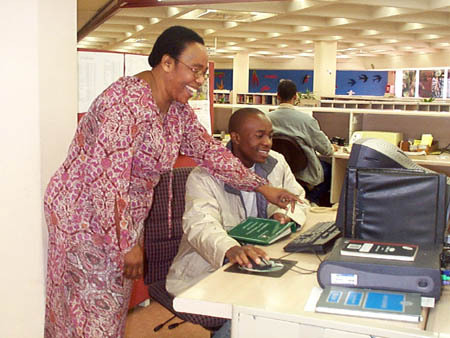 Romeo Matumba with Head of Circulation at the University of Natal Library, Ms Patience Mthiyane. 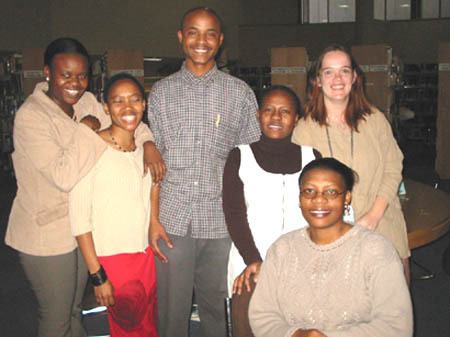 Praise Maja (centre) with Tsakane Mathebula, Pleasure Kau, Thuli Dlamini, and Cecilia. 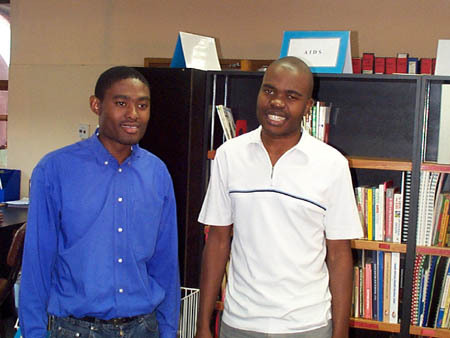 Seated: Jacky Maseloane. 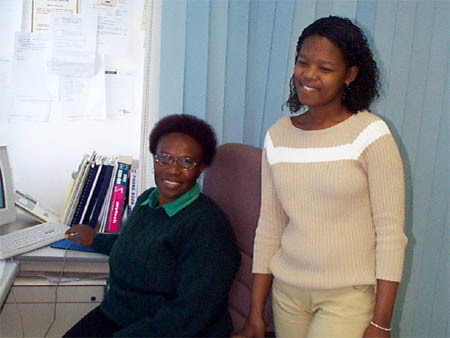 Human Sciences Research Council, Pretoria. 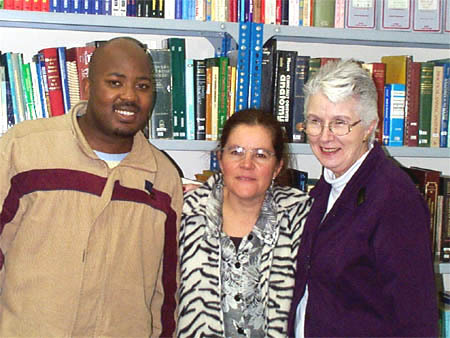 Sandile Matabane with Dr Janet Giddy and Mrs Geraldine Olfsen, McCord Hospital Library.